Labour crunch leads to survey to learn how to keep construction workers happy on the job. 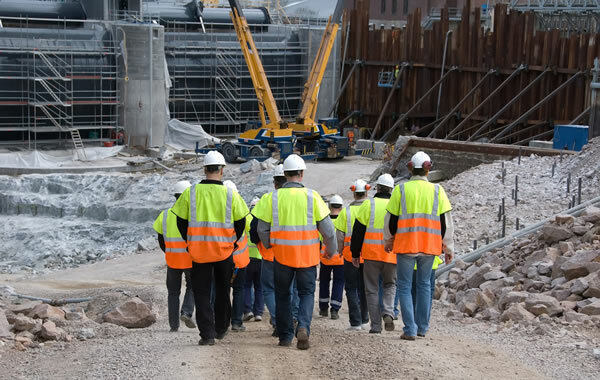 Ontario construction is facing a labour crunch in the next 10 years with almost 90,000 trades workers set to retire during that time, according to BuildForce Canada. Learning about that figure triggered a conversation that led RESCON to join forces with Job Talks, an organization with a strong track record in academia and in construction. Together with the Ontario Residential Council of Construction Associations, they have launched a survey to learn what satisfies trades professionals day-to-day as they build Ontario. “We’re thinking about the future,” said Andrew Pariser, vice president of the Residential Construction Council of Ontario (RESCON). “We’ve seen labour shortages on and off in different trades for more than a decade. We must prepare for how this will affect all construction sectors including residential and infrastructure and how it will impact our ability to build in the future. The academically-based survey analysis will be carried out by Job Talks. Recent Job Talks projects include a national survey of workers in Red Seal trades and a complementary interview series on YouTube, as well as a national study that reveals new distinct segments of Canada’s working population. The results of the survey will inform a report on retention and job satisfaction of trades workers in construction. It is available here. For more information, email dibe@rescon.com. Richard Lyall is the president of RESCON. Previous articleTHE ANALYST : Inclusionary Zoning: Collision Course or Opportunity? THE CONSULTANT: What’s the ideal unit mix for a new condo?